Are you good at listening? Do you enjoy a chat? We are looking for empathetic befriending volunteers to provide companionship and a listening ear for older people who may need extra reassurance following a change in health, a recent bereavement or when self-esteem is at a low ebb. Having time to listen to the person can empower them, improve mental well being, and build confidence and self esteem. We are looking for people who are good listeners and who can provide reliable support to the same person on a regular basis, either visiting them in their own home or accompanying them on short local trips out. Befrienders should be able to carry out their voluntary work with an unbiased attitude and show sensitivity to needs of clients, treating them with dignity and respect. Volunteers should also show a courteous, caring and helpful manner, exercising discretion, particularly with regard to confidential issues. Please note this roles does NOT cover any of the following roles: nursing, personal care, giving medication, housework or fetching shopping for the service user, attending to personal finances including handling money or lifting. Mileage is reimbursed at £0.45 per mile. Any necessary training will be given. Voluntary car driving services to enable those who can’t access public transport due to rural location and/or limited mobility to attend medical appointments, make social visits, attend day centres and make essential trips such as shopping or banking. 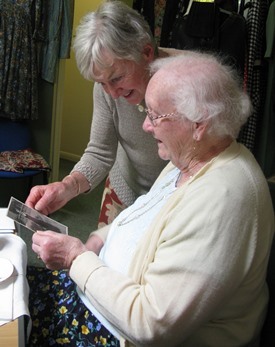 We support anyone with conditions related to health or old age which prevents them from doing things they want/need to. It is particularly important to us to be able to help people living without a network of family and friends, or with full-time caring responsibilities, or those who cannot afford to pay for such services.